I always thought Primal Rage was an appropriately silly idea for a fighting game that was actually finely executed too. 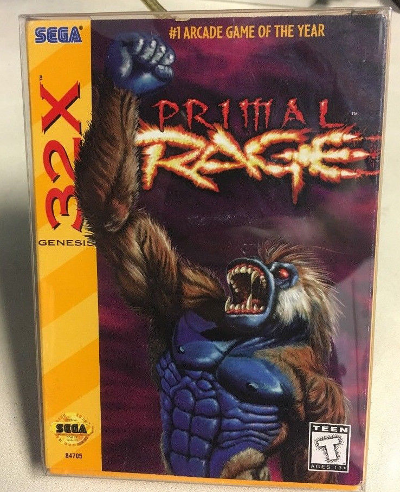 I have also been told that the 32X arcade port was really well done, and that is why I believe you might be interested in this Primal Rage (Sega 32X) eBay auction. The game on offer comes complete in its box with manual and insert.